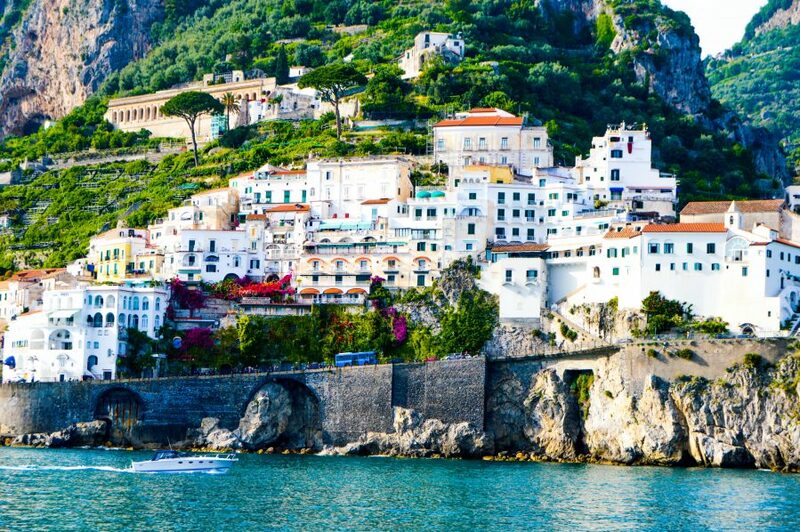 Salerno, in Campania, is situated in the gulf of Salerno which neighbors the wonderful Amalfi coast, the most famous touristic place in the South of Italy. Thanks to its fortunate geographical position, fascinating history, healthy mild climate and clear blue sea, Salerno is the ideal place to experience the unique culture of Southern Italy. 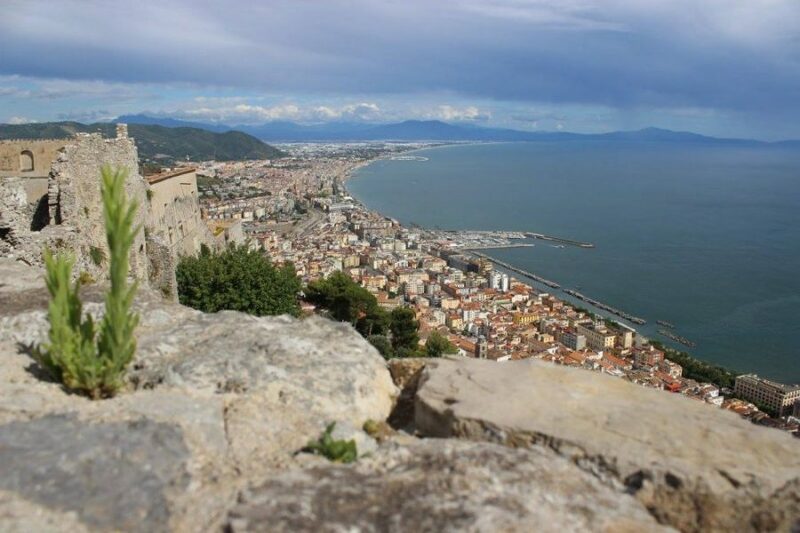 Salerno is the base of many beautiful itineraries: Capri, Pompeii, Herculaneum, Paestum, Amalfi, Ravello, Positano, Sorrento , Ischia, Caserta, Vesuvio and Naples are some of the main destinations you can easily reach from Salerno by car, bus, train or by ferry-boat. Ferry-boats to Capri, Amalfi and Sorrento regularly run from April to September. Amalfi is one of the most important cities on the Coast. Its medieval architecture and the 11th century cathedral of St. Andrew richly represent the artistic movement prevailing in Southern Italy at the time of the Normans. The Amalfi coast is famed for its production of Limoncello liqueur and for its hand-made thick paper which is called "bambagina". The city of Pompeii is famous all over the world because it was destroyed and buried by the explosion of Vesuvio in 79 AD. The city was rediscovered in 1599. Since then there has been continuous archaeological work carried out and still today they are digging up other relics. Today, Pompeii is a UNESCO World Heritage Site. Positano is one of the most attractive towns along the Amalfi Coast, with its winding streets and typical Mediterranean architecture. Famous worldwide for its fashion (Moda Positano), handmade clothing and sandals, Positano is one of the most popular destinations after Capri. Positano has also been the setting for many famous films. 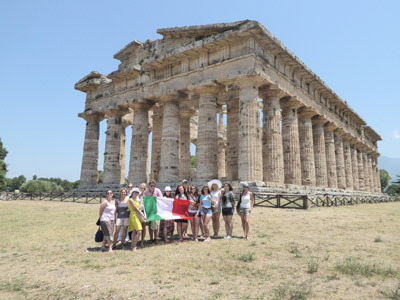 Paestum was founded around the end of the 7th century BC by colonists from the Greek city of Sybaris originally known as Poseidonia. Today you can admire the magnificent Greek temples in Doric style dating from the first half of the 6th century BC. These were dedicated to Hera and Athena, although they have traditionally been identified as a basilica and temples of Neptune and Ceres. Paestum is also famous for its lovely golden beaches.